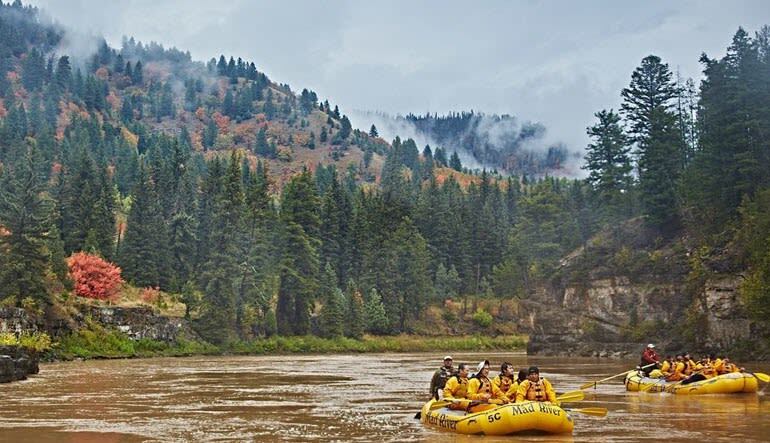 A morning river drift at Jackson Hole is, without a doubt, one of the most serene experience you can have. A morning river drift at Jackson Hole is, without a doubt, one of the most serene experience you can have. As you quietly glide along Snake River Canyon, you’ll feel an unmistakable oneness with the natural landscape and a real connection with the fauna inhabiting these parts. Quiet waters mean cameras are welcome on this 13-mile trip. With the Teton Range as your backdrop, you’ll experience no shortage of lens fodder (don’t be surprised if you spot moose, elk or even grizzly bear)! 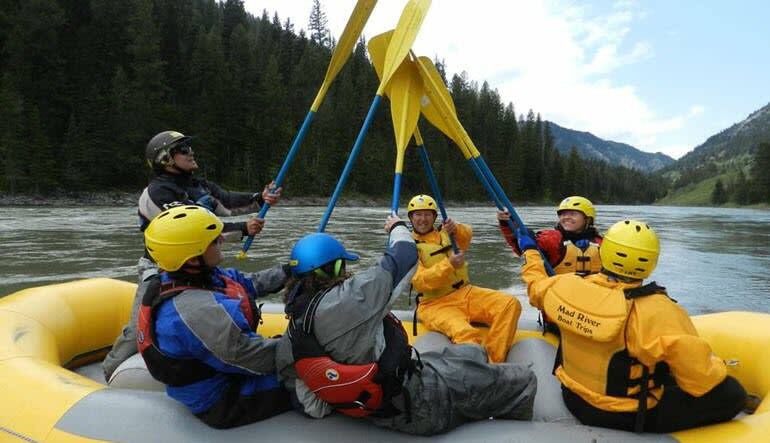 Enjoy a 3-hour, 13-mile river raft float at Snake River Canyon. Launch from Wilson Bridge (west of Jackson) and move south through a series of river channels. No paddling required on this river trip—just sit back and enjoy the ride! Learn all about the landscape’s geology, history and wildlife from your guide. 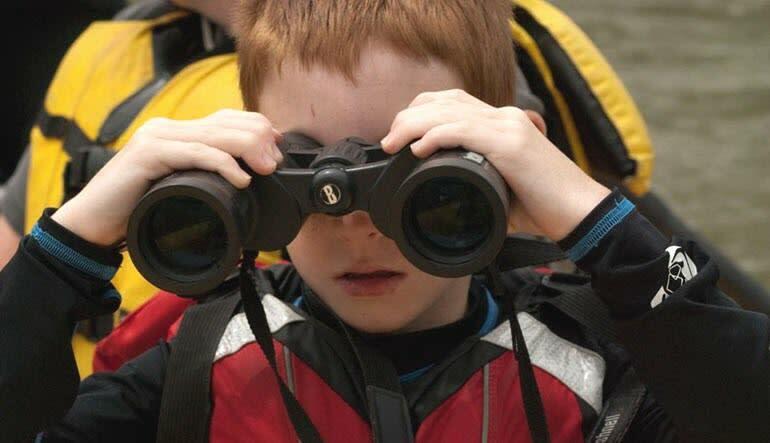 See beavers, bald eagles, osprey, deer and, if you’re lucky, bears! Early morning tours are only available once a day. Make sure you don’t miss out and book the family adventure now! This trip features our full-sized AIRE inflatable, self-bailing, 18'3" raft. It seats 16 people but we average 8 to 10 guests per boat. All positions in this raft are non-paddling positions. Just relax and take in the beauty of Jackson Hole.